We read about global warming everyday, often leaving us with the sense of “is there anything that we can do about this?” Lets answer that question right now, in the context of what’s going on at CCAF and with our Green UP program. It feels like a warm summer on the horizon. Global warming trends are heating up, so help cool it down. One small step, such as biking to CCAF (and using our bike valet) cuts your personal share of greenhouse emissions. What else are we working on…biodiesel in the generators and alternative car parking. 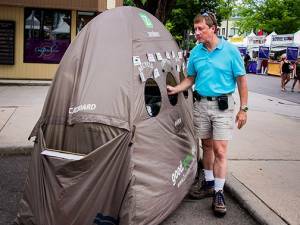 Many of us pay attention to this concept during our back country camping trips. Well, same principles at CCAF. Leave no trash behind, and inspire your fellow attendees to do the same. 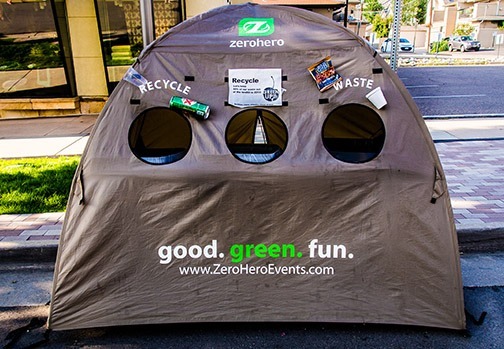 Separate your trash and recycling and bring it to the ZeroHero stations. 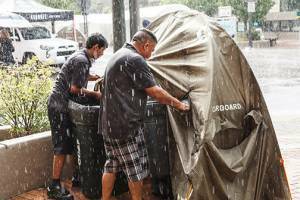 Our goal is to divert the majority of waste, recycling and compost from the landfill. The hip festivals know how to eat. Our CCAF culinary partners have globally inspired eats served in compostable bowls and plates. Some of our best friends experience a tremendous amount by traveling and volunteering for environmental and social causes. 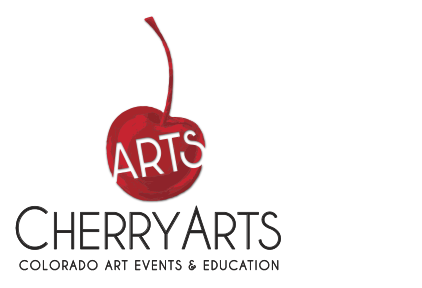 Those that want the art festival experience and to give back can find both at CCAF. Join the green team and help us achieve a low impact festival! Most environmental experts agree that a hurdle for advanced national recycling programs is the development of markets for post-consumer goods. 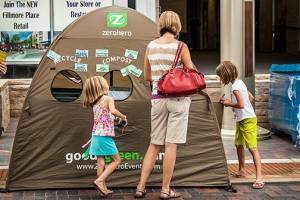 Easier said, we’ll recycle more if we’re buying things made from recycled materials. Why not look for art that is made from post-consumer material. Check out our CCAF artists making art from others junk. This was a guest post by Bryan Birch. Bryan is the founder of ZeroHero (www.zerohero.org) and is on the Green UP Cheery Arts team. 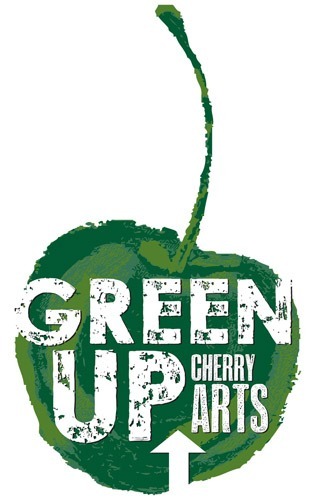 Green Up Cherry Arts is committed to making CCAF a model for sustainable events in the art festival community and beyond.